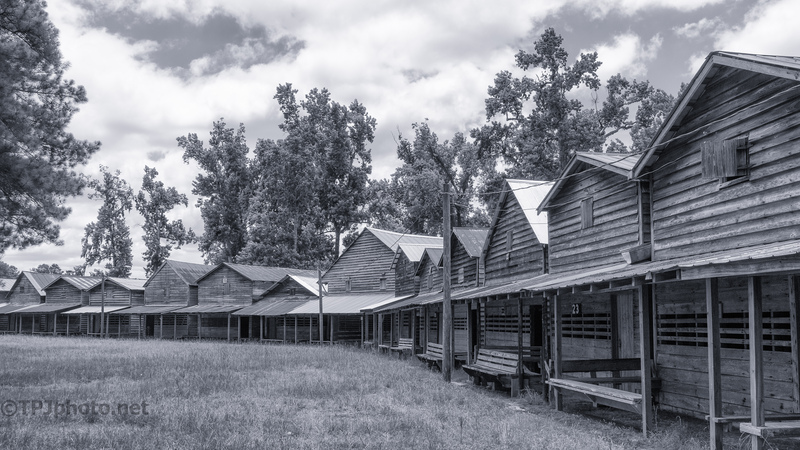 A monochrome look at church camp meeting cabins. Indian Field Methodist Campground. Built in 1848.